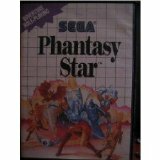 Best Sega Master System games are calculated by game ratings and members "Top Sega Master System Games" List. Best Sega Master System games are updated daily. Synopsis: Wonder Boy must traverse a non-linear world to find a cure for the curse placed upon him by the Meka Dragon that changed him into a dragon himself. Along the way, Wonder Boy will find cures, of a sort, that change him into yet other creatures. Will he ever be human again?